I’m not going to lie, growing up in the California Bay Area was pretty incredible! My grandparents owned a grocery store and restaurant in Tiburon so I guess it’s not too much of a shock that I ended up in the hospitality business. My first taste of the business came while attending CSU Chico, like many other starving college students I paid the bills by DJ’ing, bartending and working in restaurants. After college I worked for 3 years in the financial sector as a client financial analyst with Citibank but just couldn’t see myself doing it long term. So I made a radical decision to follow my passion and leave a great job to attend California Culinary Academy in San Francisco. After graduation I bounced around a bit going from one great restaurant to the next and all the while continuing to learn as much as I could about food, wine and their interaction with each other. 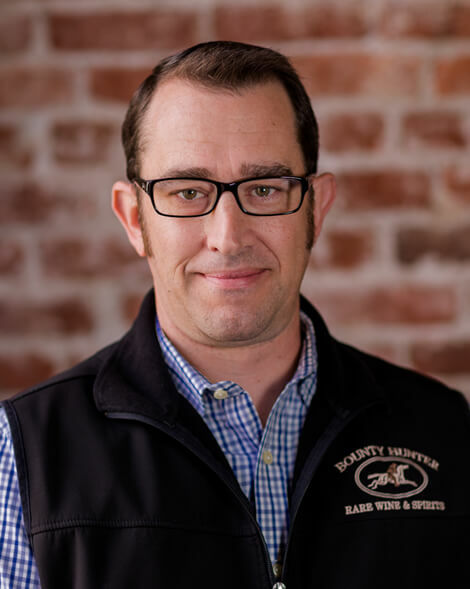 One day I got a call from a company called Bounty Hunter, I was the Executive Sous Chef at Wente Vineyards at the time and Bounty Hunter was looking for a chef to help them open their new wine bar in downtown Napa. I came on board in 2004 as the executive chef and worked to develop our “Campfire Cuisine” over the next 2 years. In 2006 I traded in my chef whites for a collared shirt and blue jeans, to become the GM of the Bounty Hunter Wine Bar & Smokin’ BBQ. If you visited our establishment in downtown Napa there’s a good chance we’ve crossed paths. I decided to branch out and explore the winery side of the business in 2014. I gained an enormous amount of “hands on” experience working as the GM for a family owned winery on the Silverado Trail. It showed me how much hard work, dedication and love really does go into making each and every bottle of world class wine. It definitely gave me an even greater appreciation for wine and for the people behind the scenes working tirelessly to make it. It was hard to leave Bounty Hunter but I’m happy I did, because it put into perspective what a great company Bounty Hunter is. Now I’m back and ready to help you find your next favorite wine! So pick up the phone, give me a call and let’s explore the world of wine together!